Benefit from the implementation and use of natural solutions. Promote the natural process of improving the condition of the environment and health in our communities. 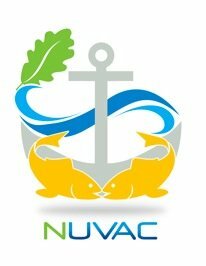 Promote the vital importance and impact of Nuvac’s work when it comes to improving human life and environmental quality for generations to come. Develop, manufacture and market innovative biotechnological products. Promote animal health and well-being as well as environmental quality by reducing irritants in the air, in the water and in soils. Offer innovative products and services fostering biological waste water treatment, thus helping decontaminate soils and water environments. Implement a strategy of alliance to consolidate our position within our industry and thus become a world reference thanks to our scientific knowledge and product quality. One of our major challenges at Nuvac Eco-Sciences is to demonstrate the great capacity of our bacteria for highly contaminated site revitalization (soils, lakes, and rivers). Our second challenge is to apply our technology to animal care, in order to integrate it and enhance humans’ life conditions for present and future generations.